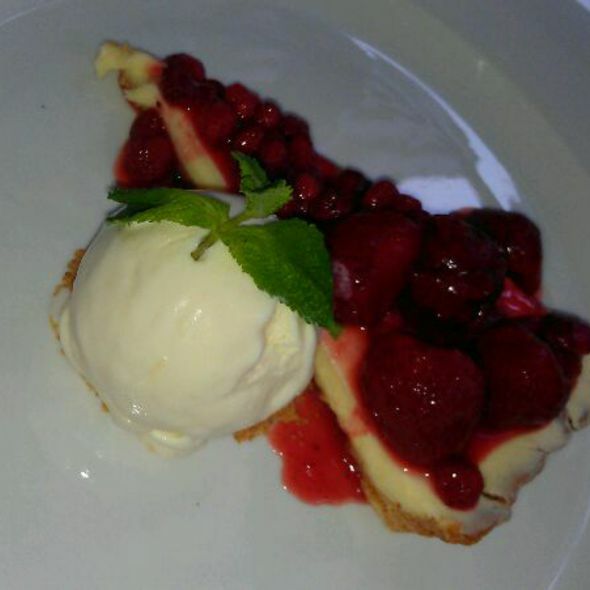 You must make bookings at least 5 minutes in advance of the time at The Thomas Cubitt. 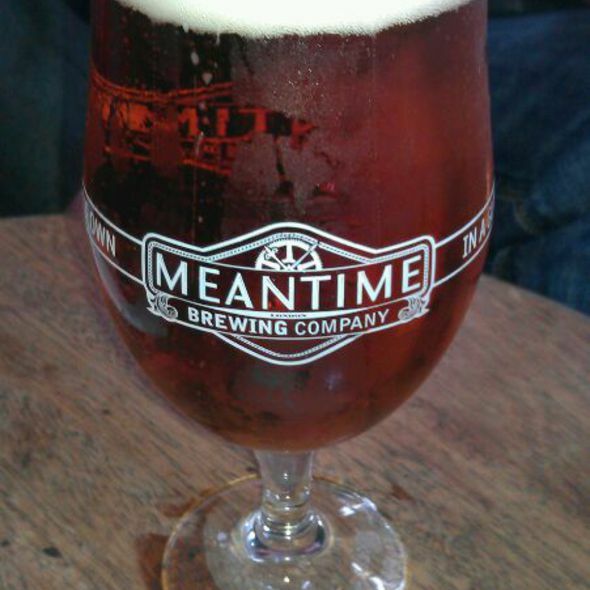 Victoria Station is a 10 minute walk away & Sloane Square tube is a 15 minute walk. The Small Dining Room, The Atrium, The Main Dining Room and the Entire First Floor are available for private hire. The pub itself is nice but thats about all that we liked! 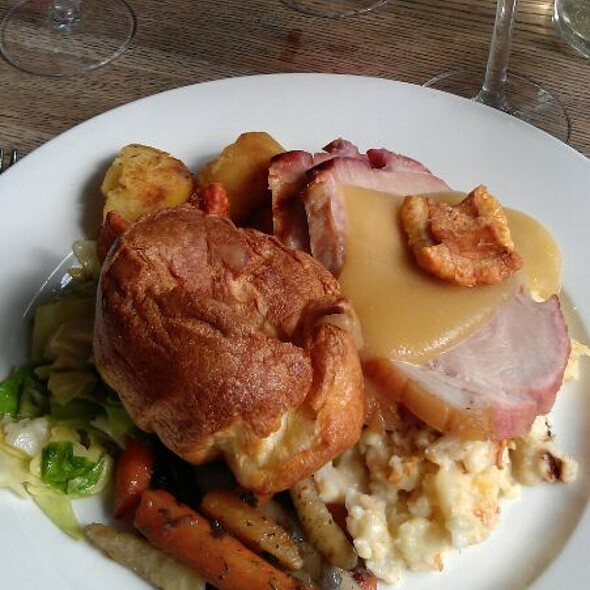 The Sunday roast priced at £24 came on a huge plate and defined quantity not quality. Presentation 1/10, a mound of cabbage strewn on the plate with small slivers of mediocre beef. The main dishes were expensive and so small it was painful paying £15+ for them. My cod and Charlotte potatoes was a tiny piece of fish and I counted the grand sum of 3 tiny potatoes on the side. 4 people, 2 courses and one drink each came to nearly £200 , absolutely not worth it im afraid. Watching one of the wait staff push a white sauce into a big serving bottle using his fingers was the pièce de résistance for our experience here. Disappointed to be in a back room, even though I had booked a couple of months in advance. It was noisy and our guests seemed underwhelmed. Food, shared wing of beef, was good but a little cold. Beef served with veg on a wooden board which looked great, but the heat had gone out of it. Not sure now if we will return. 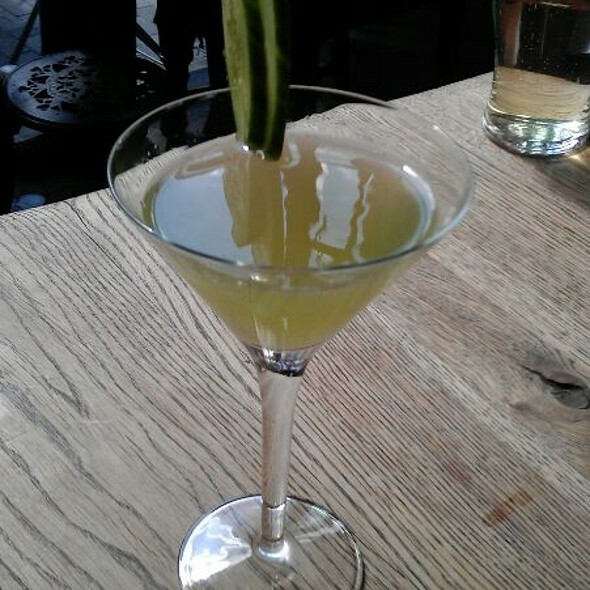 Saturday was my second visit to the Thomas Cubitt and it was equally as good as the first one! 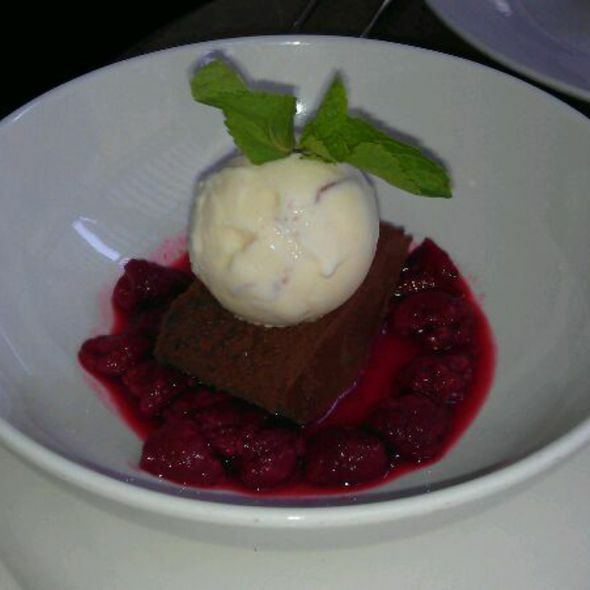 Food is consistently good, the service friendly (our waitress was lovely) and the atmosphere buzzy and fun. Thank you. Perfect for a civilised, unpretentious but really top quality British meal. The dining room upstairs was quiet without being too quiet and the menu was reassuringly small. The waiter (young, South African) was natural and extremely friendly, even offering me to taste a few different wines before making up my mind. I’ve been here several times, it’s my restaurant of choice near Victoria. I love this place. Great ambience, food, wine & service! We entered Thomas Cubitt through the din and residual tobacco smell of the pub. An employee grunted and pointed to the stairs to the dining room. We found our way to the dining room on the second floor. There was an open table near a window, but when we asked for it were told it was reserved. (We had a reservation!) We were seated at a small table next to a fireplace. The space was lighted by a floor lamp that shone into my dinner companion's eyes. She switched it off. Shortly, a waiter arrived and, literally, reprimanded my wife for turning off the lamp without permission. He mumbled something about safety. He did not turn on the lamp. Service, generally, was good, but slow. The food was excellent, except my chicken was dry and not helped by the greasy gravy covering it. We left rather quickly as the incident about the lamp made us very uncomfortable. Thomas Cubitt is NOT a value. We will not return. Good food, good service. It's not cheap but that's central London. 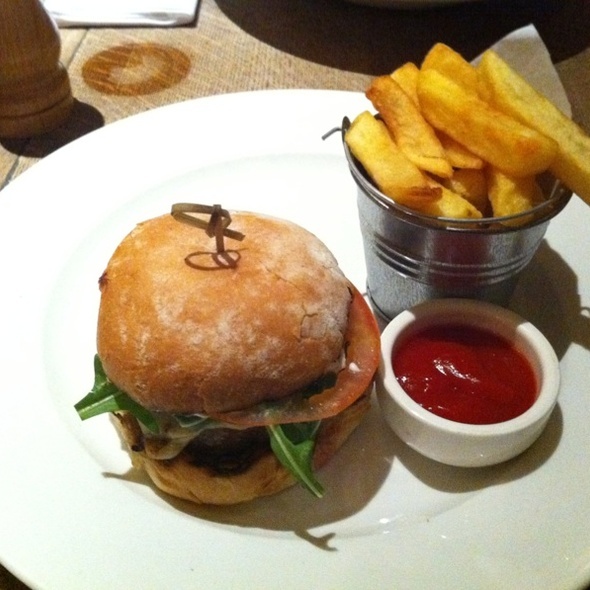 Amazing gastro pub - everyone is really friendly and helpful, and a great atmosphere. Would definitely recommend it. 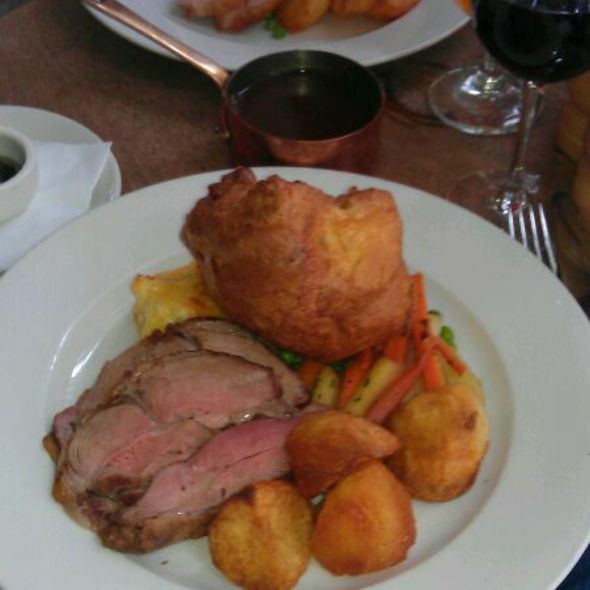 Such a great sunday lunch! The food was amazing and the service was literally impeccable. Highly recommended! I love this place, the food is very good, good quality! 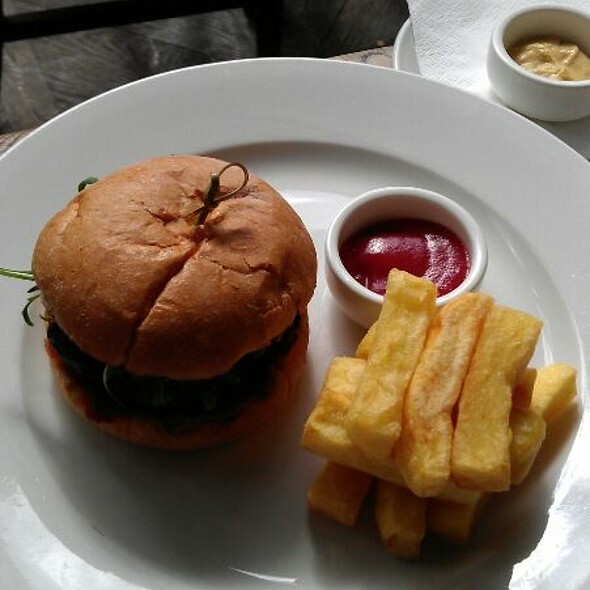 This is a stylish gastropub with many different ambiances depending on the floor and room. We ate upstairs in a small dining room and the ambiance was very pleasing, lighting, noise and seating were all very comfortable. The food was excellent. Our waiter was not the smoothest touch, but other staff with whom we interacted were very welcoming. There was a lively bar scene downstairs that looked like fun. Overall, a good outing! Superb food, well presented. Lovely setting and excellent service. I had the Sunday roast dinner - which was nice but could have been hotter. My husband had the fish and chips but his fish looked overcooked. They were changing the wine menu so there was limited choice of wine available. The first floor dinning room is nice but even though it has high ceilings and wasn't overly busy it was still noisy - but that may have been due to the other guests. The service was pleasant as was the overall experience but I wouldn't rush back there when there are so many other better local options available. Absolutely superb, staff, service, food, a great place for a family meal, this establishment needs to be recognised for the gem it is. Far better than a Michelin stared restaurant we visited the day before. Everything really good but service a little slow and roasts were cold by time they reached table. Unexciting and unimaginative limited menu. Slightly offhand staff, not very welcoming and nowhere near as pleasant an experience as The Alfred Tennyson. Would not return. The service was superb . The food was superb. Highly recommend it! Unfortunately the restaurant did not leave up to expectations. The food was terrible, very plain, poor selection, only one vegetarian option and terribly overpriced. The only complaint was the quality - or lack of it - of the special of the day. The pork was more fat than meat - my guest had to send his back and I almost joined him. Everything else was as one would have expected having dined there before. So no complaints but when something is labelled as a "special " perhaps effort should be made to ensure that it should be and not let down by the lack of quality of the meat. An honest comment which I hope will help their usual quality being maintained. I ordered the trout, which did not come out as trout. It was hake and the waiter did not mention a thing. The fish was also way overcooked. We ordered the purple sprouting broccoli and it was normal tenderstem broccoli. I also had to ask 3 times for ice. Really not a great experience, will not be returning unfortunately. Great food, lovely place. Quite noisy but good service. The Thomas Cubitt was a lovely gastropub in Victoria. The pub downstairs is very busy and bustling with people, you’d struggle to find a table really! But the dining room upstairs was nice. Sadly, we were some of the first diners (booked for 6pm) and the upstairs was bitterly cold when we first walked in. They could do with warming it up a little first, as we had to keep our jackets on! It did warm up a little as more people arrived, but was still cold overall. The food and overall service was lovely though. Really friendly waiters and waitresses, and super tasty food for every course! Very impressed, and would return! Really great place with an excellent menu. If you have a lamb shank on a menu might be a good idea to have mint sauce! 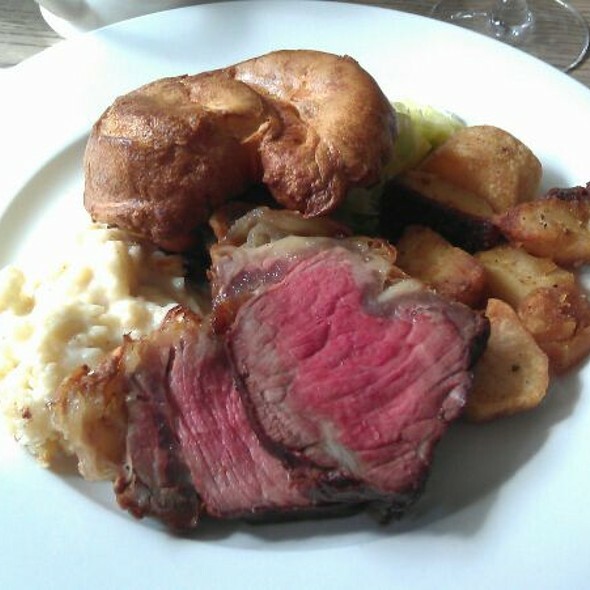 I went to The Thomas Cubitt for a traditional Sunday roast. My overall experience was very good and I would go there again. The beef was kind of fatty, though, which is why I have to reduce my rating in the respective category a little bit. The white choc blondie was amazing! Staff lovely as always! We were staying in a Belgravia hotel overnight and going to see the Wicked Sunday matinee at the Victoria Apollo. Thomas Cubitt was perfectly located for eating after the show so we booked in advance. We weren't disappointed. The downstairs bar was very busy but we were directed to our table in the upstairs dining room. The service was great and the food very good. Very nice ambience. The ambiance and staff were excellent but the food was disappointing. My main course was forgotten and then when it came it was hideously over salted. Staff were excellent at trying to sort out my disappointment but none of us were overwhelmed by the food. In their defence it was just after Christmas. The atmosphere and the food were absolutely lovely. We spent our Christmas Eve there and the place was well decorated and cosy, a perfect scenery for a festive, family evening. I would absolutely recommend this restaurant ! On this occasion I did not think the food was great. The venison was tough and the parsnips and artichokes were not cooked enough. Dessert delicious!